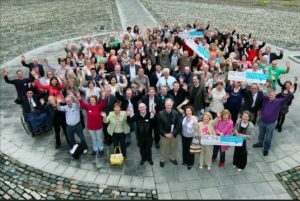 » A Tipping Point on Climate Change in Ireland? A “tipping point” refers to a moment or space which previously had been in balance, or stasis, but which becomes unbalanced when something is added to cause it to change significantly. In many instances a tipping point suggests a negative outcome, but it need not be, and positive outcomes can flow from a tipping point. Here we use the term, almost metaphorically, to refer to a significant consolidation in the support for action to address climate change impacts after an extended period when there was a semblance of balance between those who doubt or even denied the reality of climate change and those who accept it and advocate for action. In many places, there now exists a clear majority of people and opinion that accept climate change and that advocates for action, while in a few places there is no clear consensus, or a general consensus but a rigid and powerful, and rich, counterforce that actively works to undermine climate change action. The counter forces can be seen in the US Republican party and President Trump, and Australia, whereas there is a strong consensus in support of climate action in the European Union. The Republic of Ireland has slowly been developing a consensus in favor of action on climate change, but it has been a struggle with many setbacks, as when the government runs away from taking any proactive policy to actually address climate change, or when the large industrial farming interests push back, or when media, such as RTE, create an unfounded equal “balance” of speakers in favor of and against climate action. Several recent reports suggest that Ireland may have reached a tipping point where climate action is now broadly and deeply accepted. Those reports are the Citizens’ Assembly recommendations on climate change; the Climate Change Advisory Council’s Annual Review 2017; and a recent EPA research report, A Summary of the State of Knowledge on Climate Change Impacts for Ireland, by Margaret Desmond, Phillip O’Brien and Frank McGovern. The Resolution establishing the Assembly included the following among five matters to be considered: “ how the State can make Ireland a leader in tackling climate change.” The framing of the issue for the Assembly raises an initial problem. If “Ireland” is meant to refer to its government, it is hard to imagine that government going from one of the more reactionary on climate change to a “leader.” A government that cannot even follow its own commitments to the EU is not a likely candidate for leadership. But if “Ireland” means its citizens, it is possible for the people of Ireland to individually and collectively take action to reduce their own greenhouse gas (GHG) emissions, especially since Ireland has the third highest per capita emission of carbon dioxide (CO2) in the EU. At the same time, they can organize politically, demand that their recommendations be implemented, and vote for leadership on climate change action. To demand that their government act, they first need to show the way by reducing their own GHG emissions. While the recommendations resemble a wish list of the work of the environmental community over the years, it now represents a clear consensus by a representative body of all citizens. It also provides the government with a blueprint of fairly specific actions that the citizens want the government to undertake. Several Assembly recommendations are more general and vague than others, e.g., when it recommends that the State take “many steps to support the transition to electric vehicles.” But others are specific, concrete actions to be taken, including: for the State to retrofit public buildings, and use low carbon vehicles; for the public to pay higher taxes on carbon intensive activities; for the assessment of critical infrastructure (energy, transport, water and communications) to prepare for extreme weather events, with priority spending on the most vulnerable of these; for greater community ownership of future renewable energy projects; for the end of subsidies for peat extraction and use of the savings for peat bog restoration, with some protection for workers affected; for greater priority of public transportation rather than new roads; for mandatory measurement and reporting of food waste; and, perhaps most controversially, for a tax on GHG emissions from agriculture. Even the general recommendation for more electric vehicles did include some notes that specified an expanded national network of charging points, incentives for rural communities, including subsidies to purchase, lower motor taxes and lower highway tolls, at the same time as disincentives for carbon-intensive vehicles. When one compares the Assembly Recommendations to the government’s woefully vague and inadequate National Mitigation Plan, we can see that the citizens are far ahead of the government. Unfortunately, there is not a lot of hope that the government will act on the Assembly recommendations. Almost as soon as a tax on GHG emissions from agriculture surfaced at the Assembly, the meat industry raised strenuous opposition to any such notion, and the government obligingly accommodated by ruling out any climate change tax on agriculture. It seemed that the industry and government were coordinating their attack on the notion to nip it in its bud. 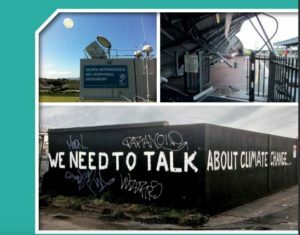 In an earlier piece in the Reports section of this magazine (January 2017), we wrote about “The Disappointing Irish Climate Change Advisory Council First Report,” the title conveying the thrust of the article. The Council is an independent body established under the Climate Action and Low Carbon Development Act (January 2016) to advise the government on reduction of GHGs and adaptation to climate change effects. The disappointment with the Climate Change Advisory Council’s first report was from its reticence in detailing concrete actions that the government can and should take to finally address the shortcomings of the country’s efforts to meet its climate change obligations. That first report vaguely called for “additional policies and measures” without telling the government, and us, what they should be. We had hoped for a more proactive approach from the Council. As a fundamental basis for the Council’s recent assessment, it points out that Ireland will fail to meet its EU emissions obligations for 2020, by a substantial margin, and for 2030. The government also will fail to meet its own commitment to reduce carbon dioxide (CO2) emissions by 80% by a very large margin. Part of this failure is because Ireland’s economy and emissions are still coupled, resulting in lower emissions during slow economic growth and increased emissions in better times. Emissions from transport in particular continue to grow, and methane and other GHGs from an expanding agriculture are becoming a growing problem. Obviously, something more, much more, needs to be done. The recent Annual Review 2017 is a step forward as it does offer a proactive, and exemplary role, in urging, even pushing, the government to do more. Importantly, it offers concrete and specific recommendations to the government and the tone of the Review is more urgent and critical. Critical steps include a substantial carbon tax, phasing out coal and peat for residential heating and power generation, and ending subsidies for peat-fired electricity generation. All of these actions are necessary to decarbonise electricity generations. Ireland’s emissions from passenger cars are one of the highest in the EU, and fuel for tourism contributes to this profile. The Council urges that spending on transportation needs to shift from roads to public transport that is not dependent on fossil fuels, and on incentives for electric vehicles. Such actions would also provide additional health benefits from cleaner air quality, and would reduce congestion in urban areas. Support for such shifts to public transport, and a more sustainable growth, would also require planning that minimizes urban sprawl and commuting. The Council joins a growing chorus of voices for action in agriculture and land use, in light of the increase in agriculture emissions from the government’s implementation of its Foodwise 2025 policy. 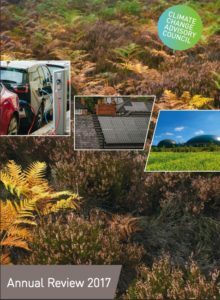 The Council also points out that the government’s target for increase in forest cover is ambitious but not sustained by actions, and its continuing support for peat extraction is inconsistent with reducing GHG emissions. If the government fails, again, to adopt a proactive policy on GHG emission reductions, then it will have to buy emission credits to satisfy its climate obligations. The Council notes that, ultimately, the Irish public will have to shoulder the burden of those payments from the general treasury. Perhaps it would be smarter to pay for proactive actions on climate change than pay for credits necessitated because the government failed to do enough. been the dominant cause of the observed warming since the mid-20th century (IPCC, 2013).” At ix. The final bedrock principle is that the risks from climate change are unquestionably already significant, and potentially disastrous, even catastrophic. More research is still needed to define more definitely climate impacts on certain areas, such as marine and coastal environments. Yet many of the effects of climate change on the environment, and socio-economic impacts, in Ireland have been documented well enough that they can serve as the basis for action. As the report states, “Sufficient information exists at the national, sectoral and local levels to support the development of policy and begin the process of implementing adaptation actions.” At 31. Adaptation options: Protection from the elements. Improved availability of water and shade. Adaptation: Nutrient management plans should include options to respond to meteorological conditions. While “extreme weather events” received only passing reference in the 2009 Report, the current Report focuses on this phenomenon as an issue of significant concern. Indeed, it is likely the growing exposure of more and more of the population to extreme weather events is one of the major contributions to tipping towards the consensus of the reality and dangers of climate change. The government has no excuse for continuing to fail to act on climate change in any meaningful way. The propaganda of the denialists that we don’t know enough to act is bogus. Acting despite any remaining uncertainties is, of course, entirely consistent with, indeed demanded by, the precautionary principle which has been adopted by the EU. One quibble about the Research report. It declares that “The purpose of this report is to provide an accessible summary of the available information in a format that will be of use to policymakers, sectoral and local decision-makers and other stakeholders interested in or working on adaptation to climate change in Ireland.” Of course the bulk of the audience — policymakers, sectoral and local decision-makers and stakeholders — are not academics but national politicians, agency staff, local councilors, farmers, engineers, environmentalists and “ordinary” citizens. The language of the report is abstract-academic and therefore not easily accessible for a wider audience, and so it loses an important opportunity to reach that intended audience. Of course there is the dilemma that the report is a research effort submitted to EPA, subject to stringent requirements of any academic research product, and reviewable presumably by like-trained scientists. While those conditions suggest a need for the report to be abstract, there are certainly opportunities for at least an Executive Summary to be written in more accessible, more concrete language. Indeed there is also a solid argument for the entire report to be written in such language. While the public understanding of, and support for, action on climate change may have coalesced, there remains a need to be vigilant to assure that the Assembly’s achievements do not whittle away, that the Advisory Council keeps the government’s feet to the fire, and that EPA research findings inform the policies of the government. As we have seen, even if the public has reached a tipping point on climate change in Ireland, the Irish government remains fossilised. As we noted above, the Citizens’ Assembly recommendation for a climate tax on agriculture was promptly and perfunctorily rejected by the government. There certainly is no justification for mainstream media, including the major newspapers or RTE, in offering climate denialists equal billing on debates aired on climate change. The denialists need to be called out as contrarians who have no sound basis in science or policy for opposition to action on climate change.